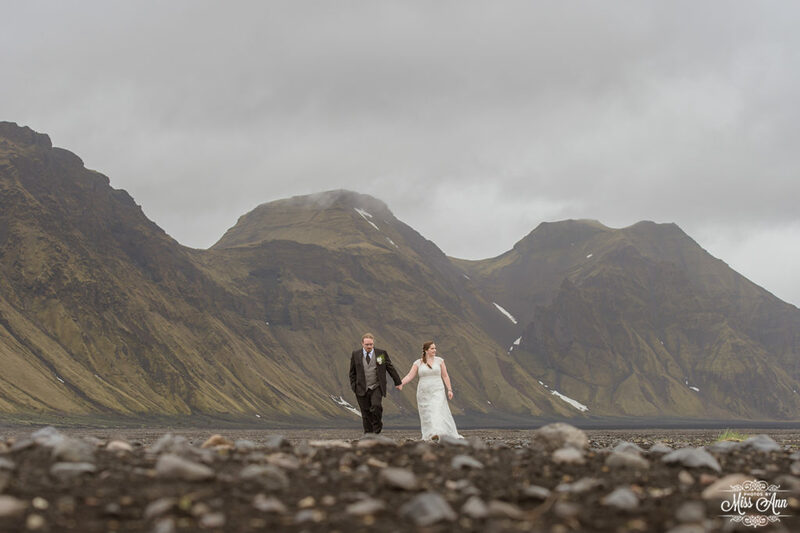 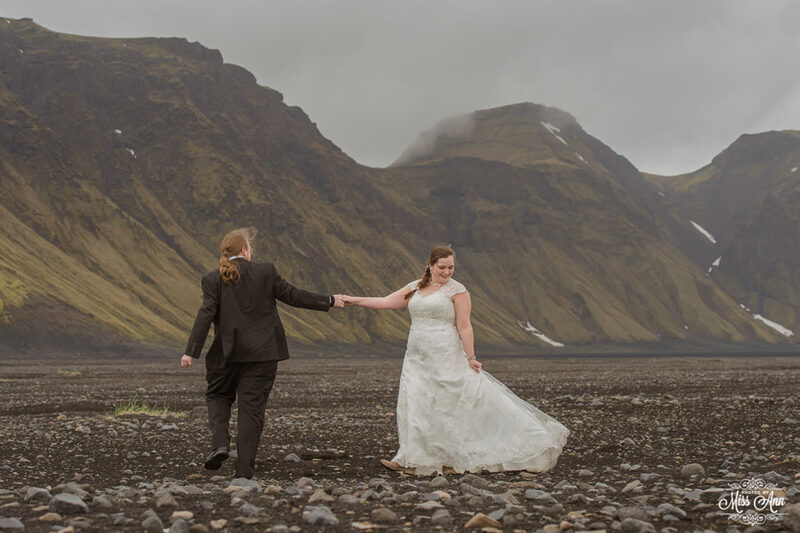 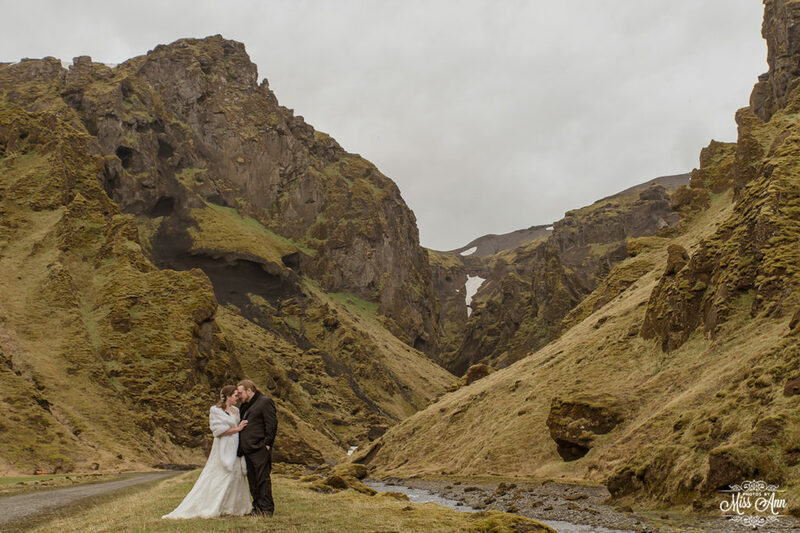 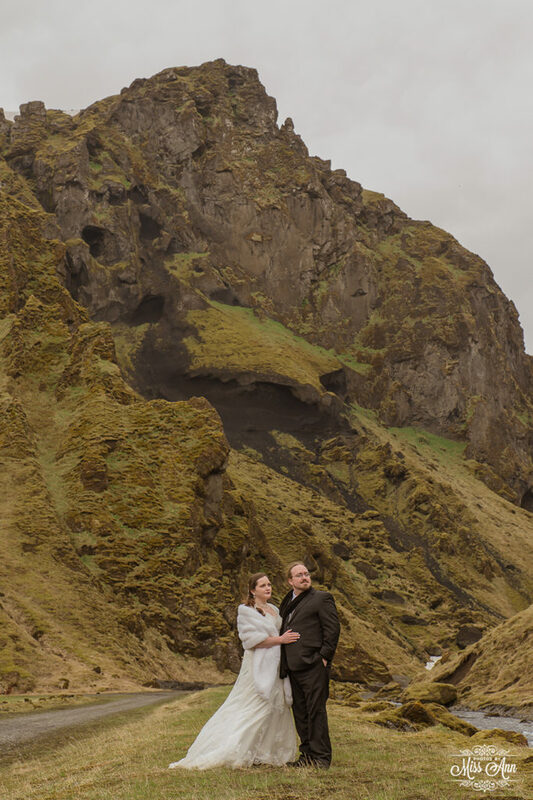 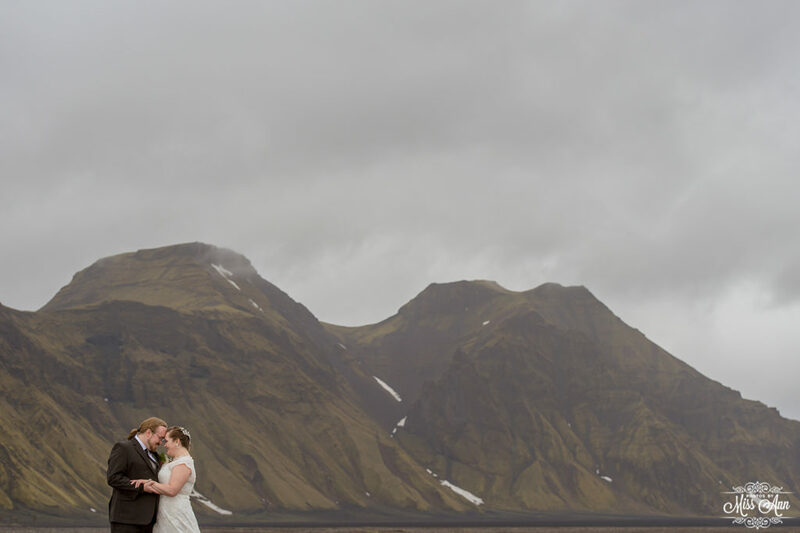 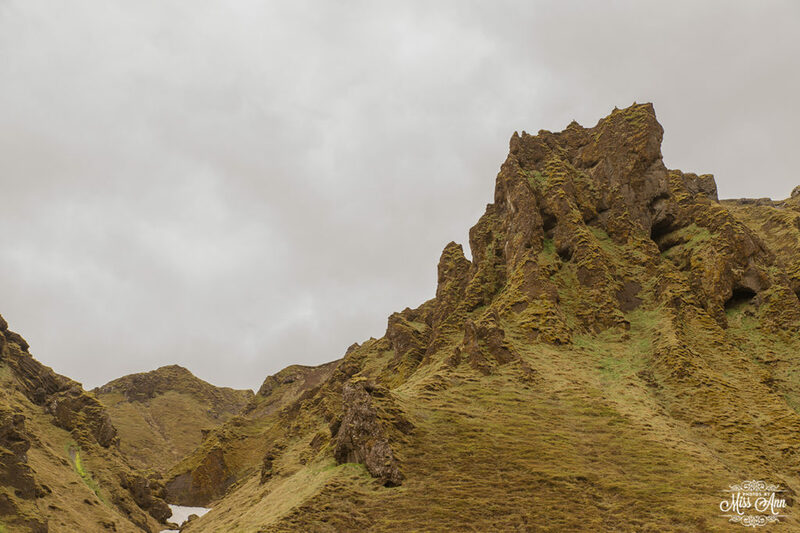 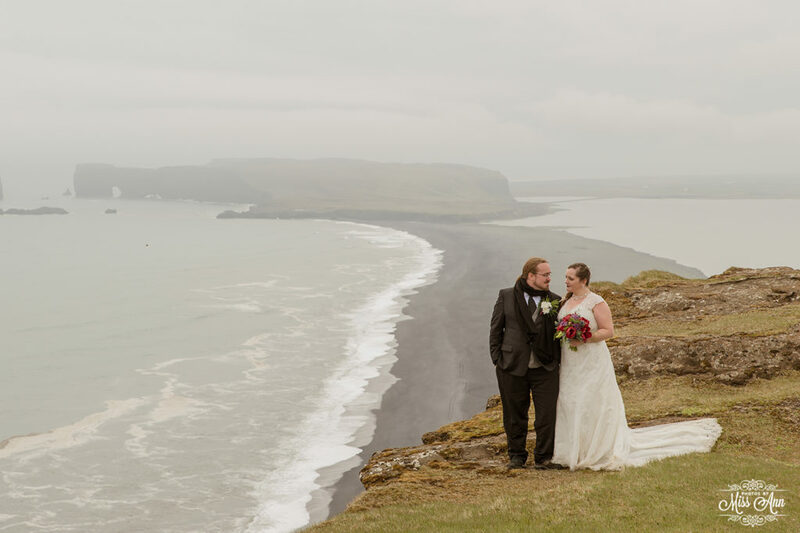 Britt + James reached out to me specifically looking for an Iceland elopement that would be crazy fun, unlike anything they had ever experienced or seen, and far far far away from the typical tourist locations. 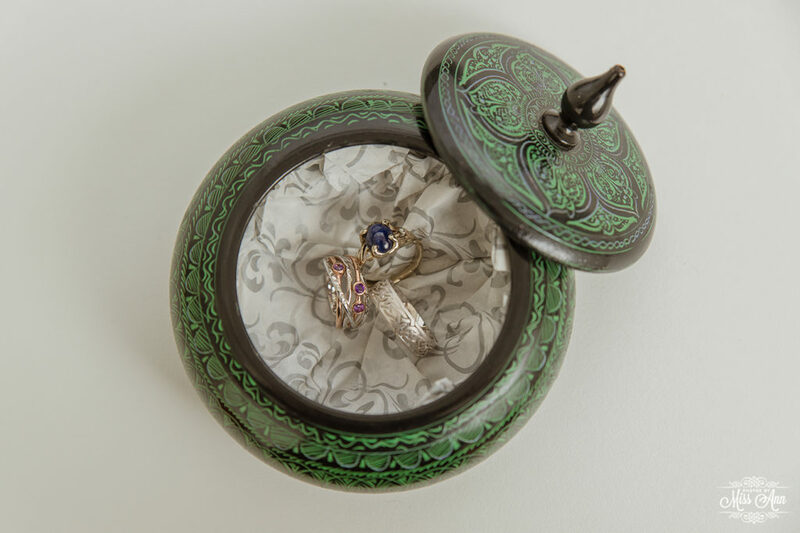 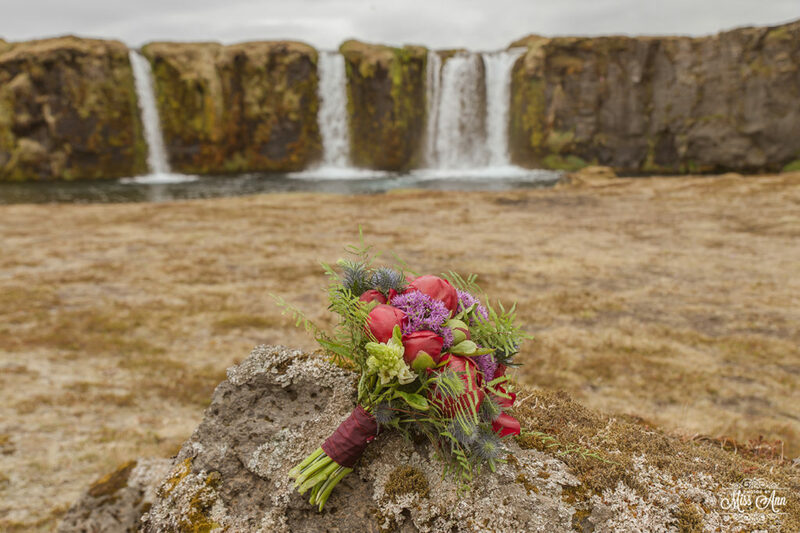 #EasyButton- Totally what we, here at Iceland Wedding Planner specialize in! 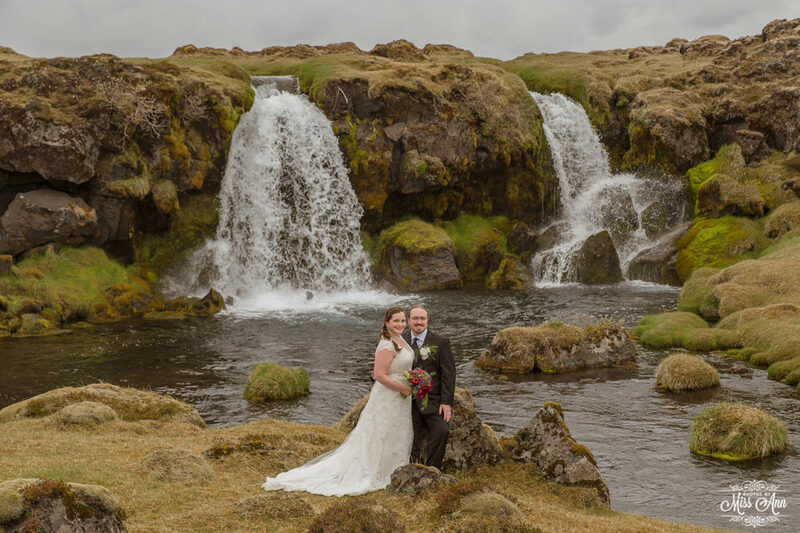 We delivered a 16 hour adventurous Iceland wedding day and throughout the day we saw 0 tourists (and it was the 28th of May!). 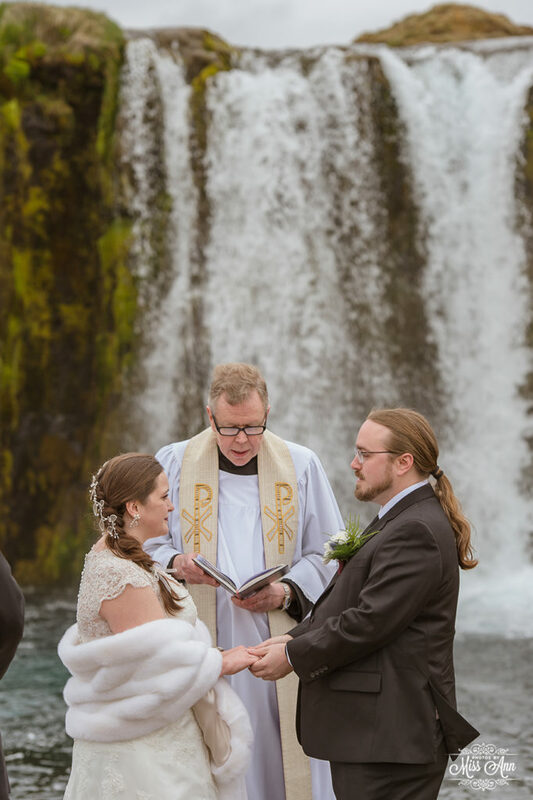 How did we do that? 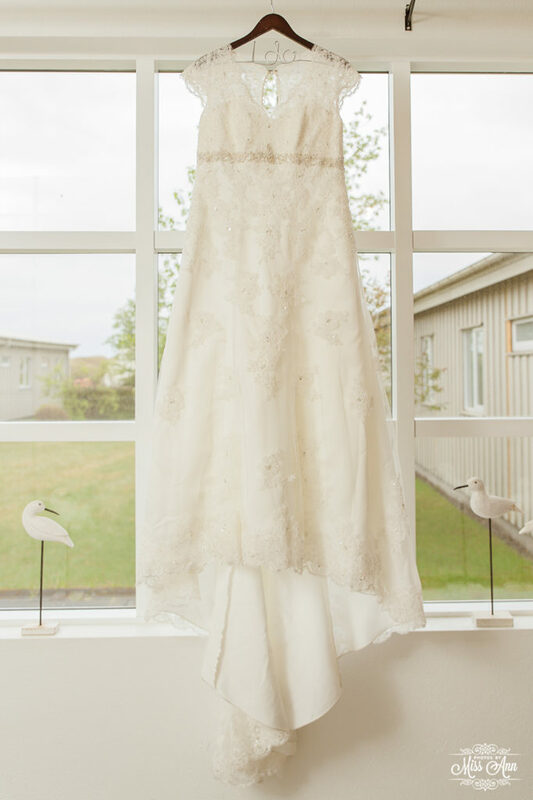 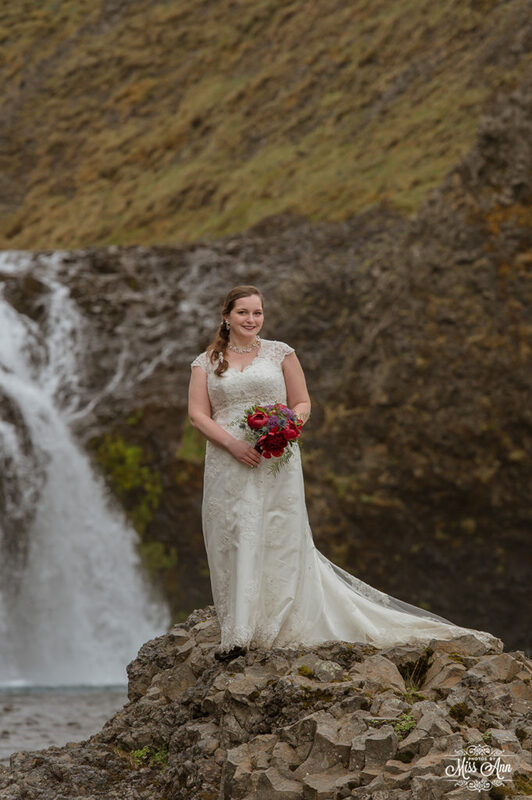 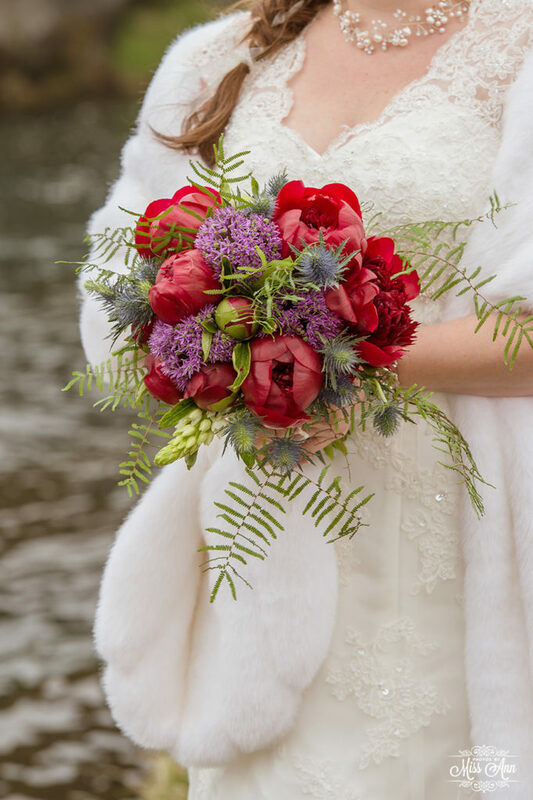 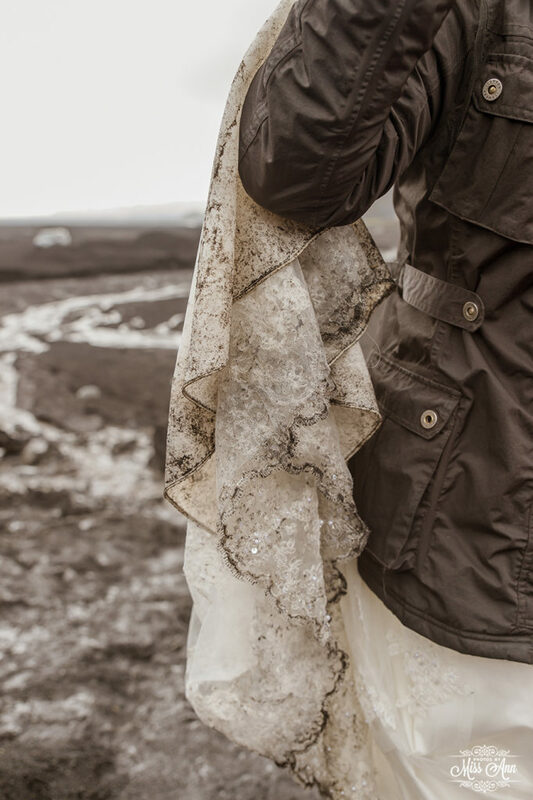 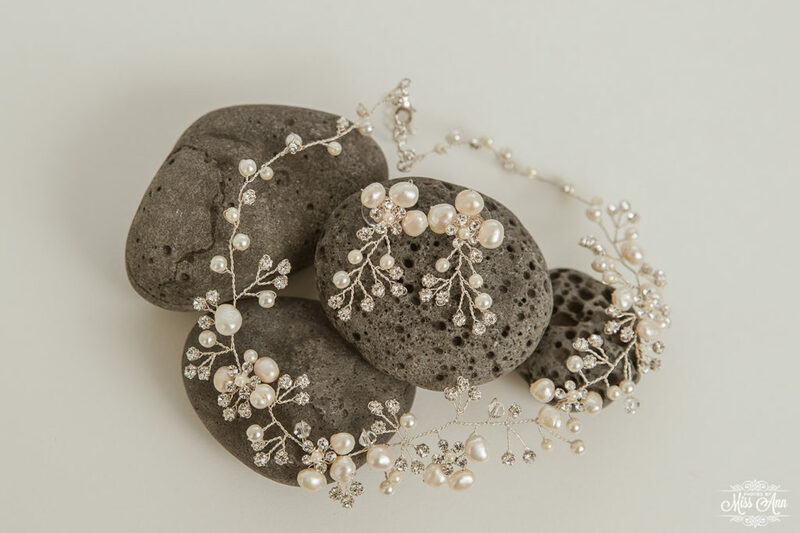 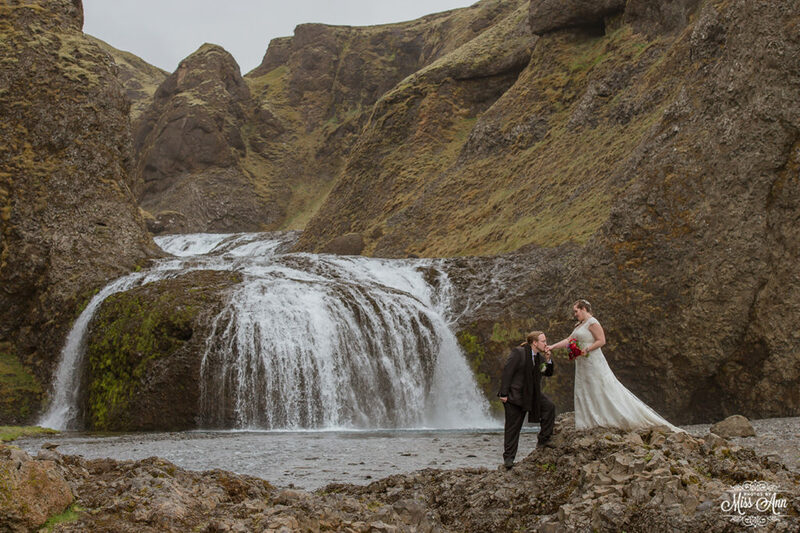 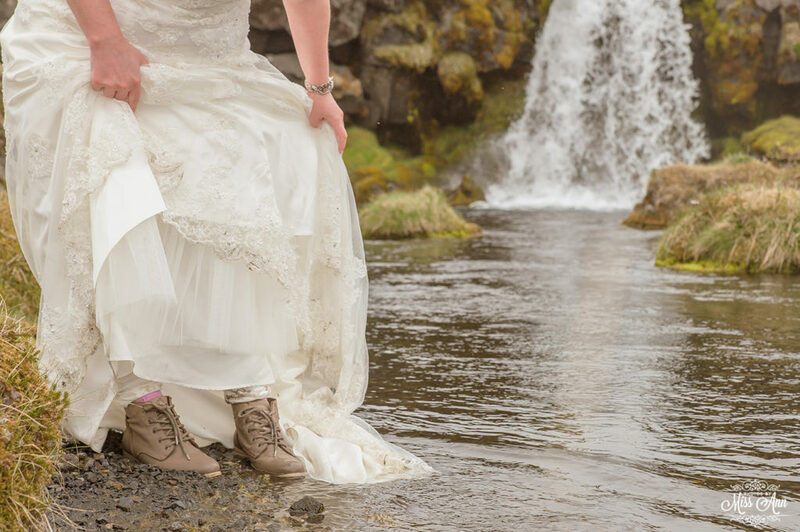 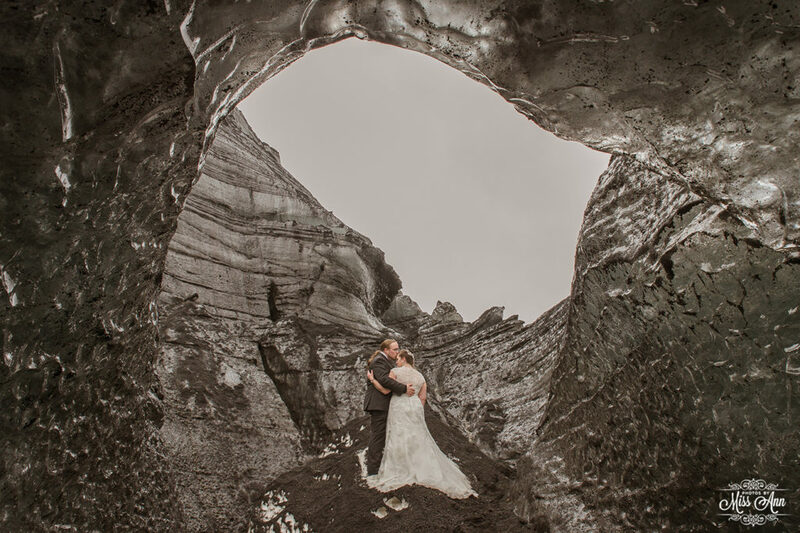 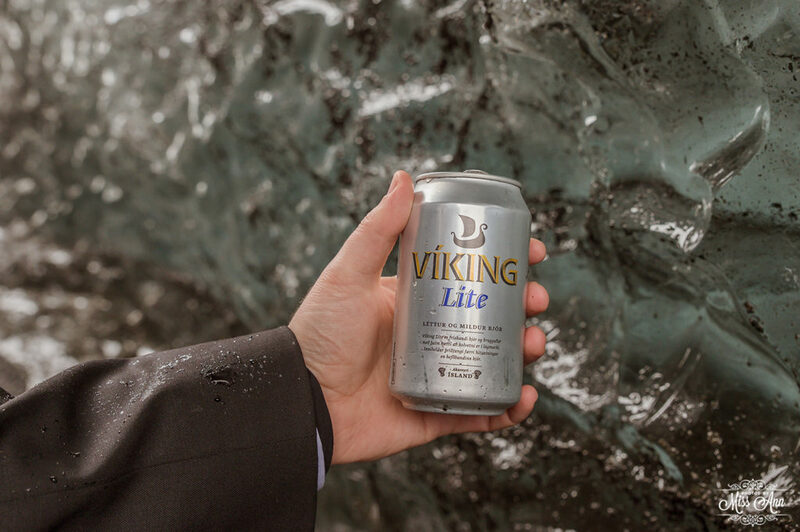 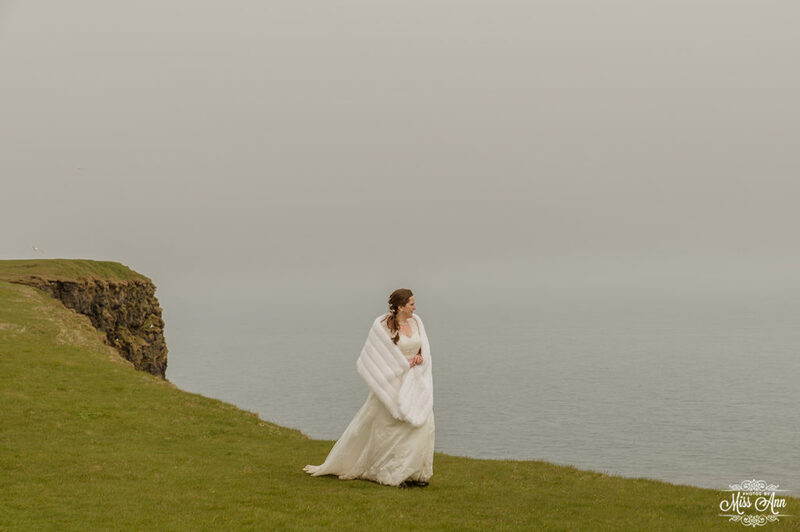 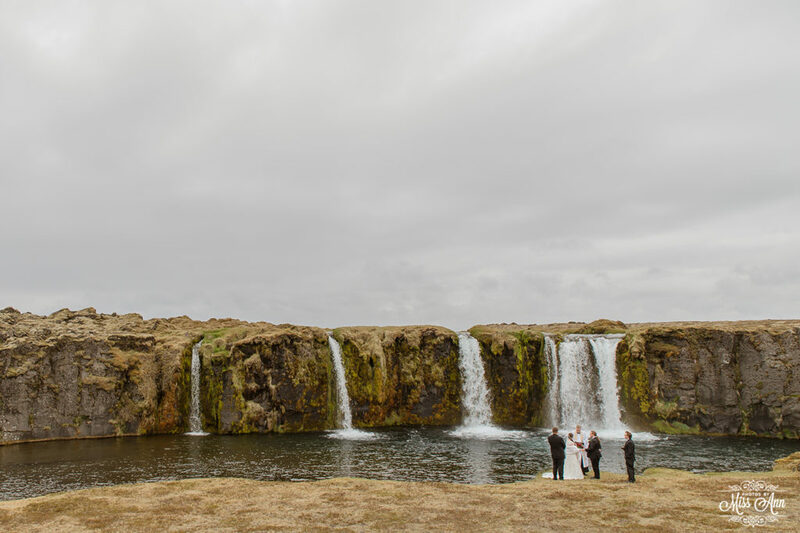 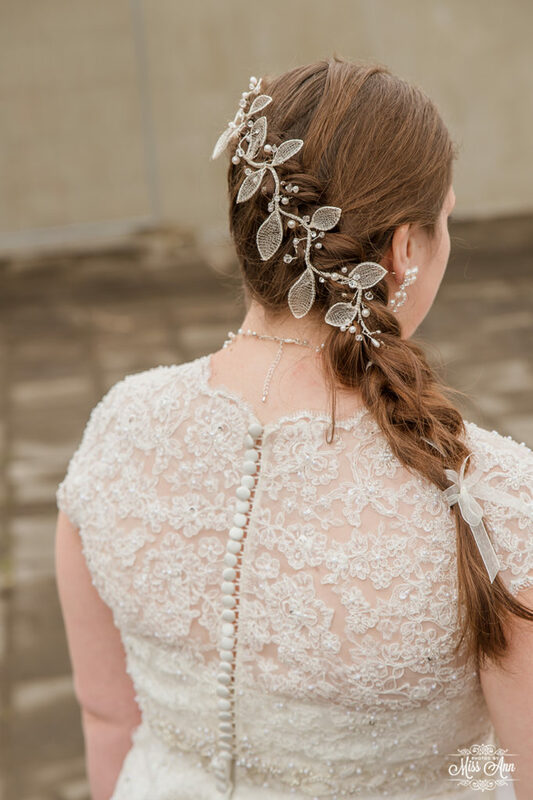 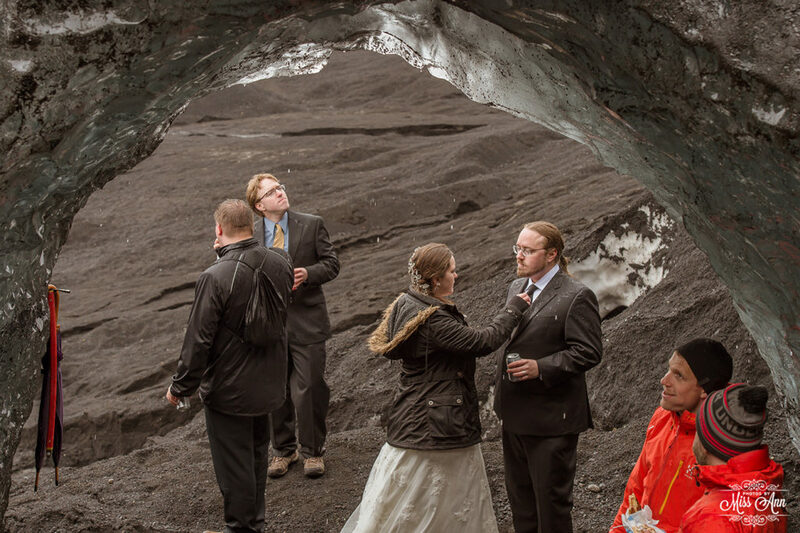 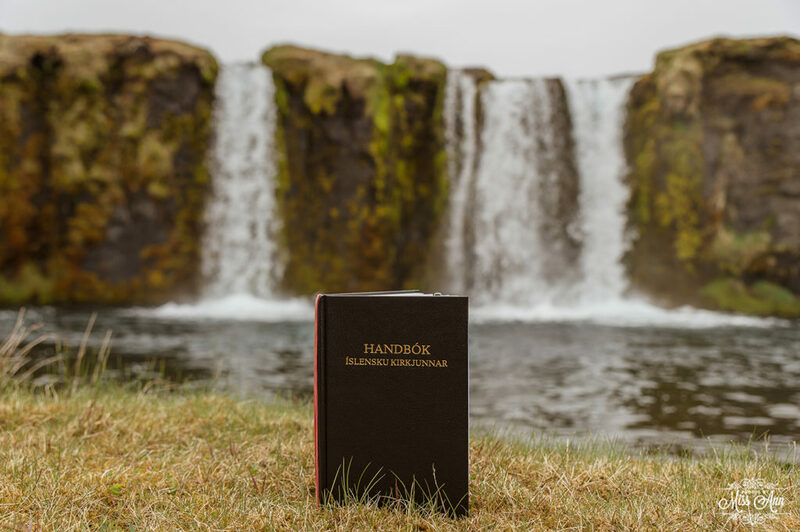 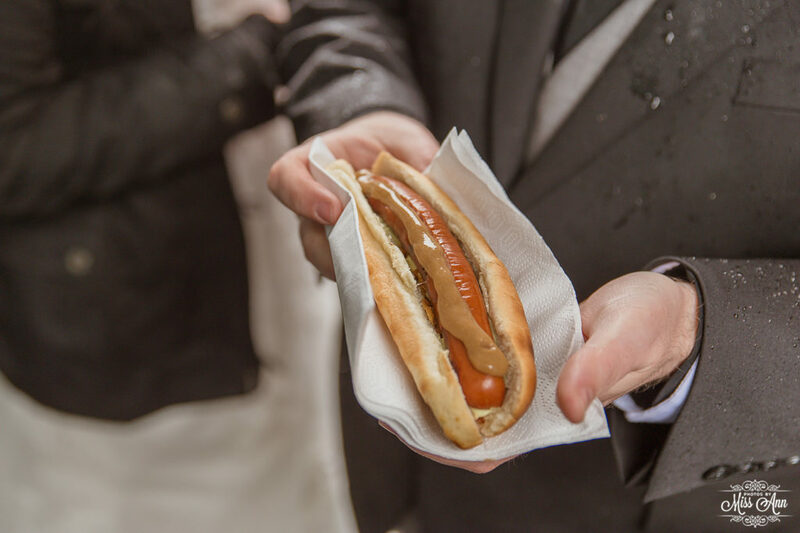 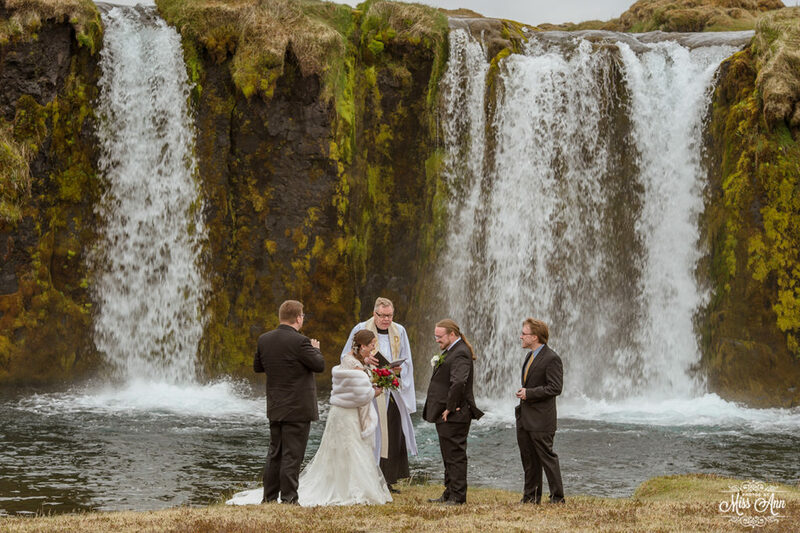 Because our locations are offbeat, exclusive, and most times private, which then translates to you as an unforgettable wedding EXPERIENCE in Iceland, not just a wedding day. 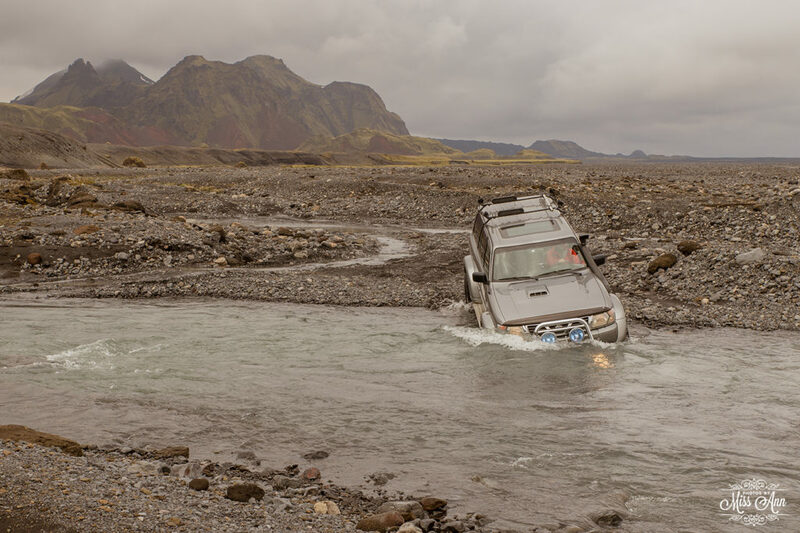 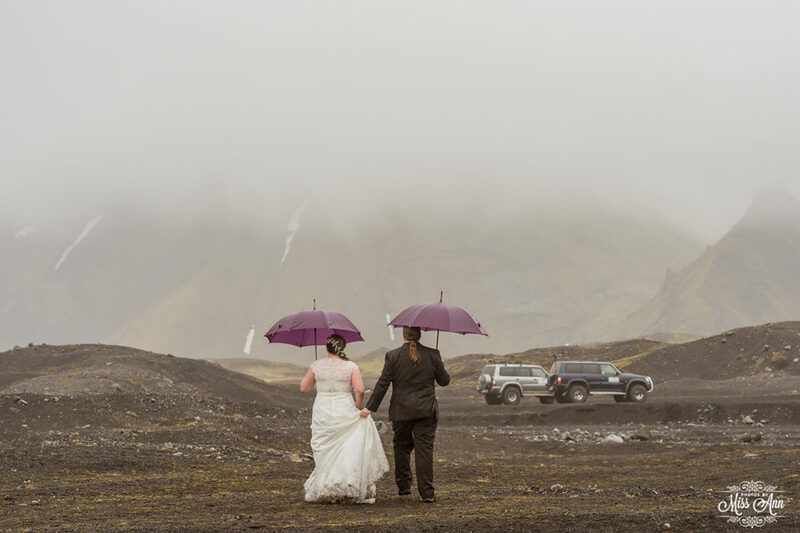 One of the beautiful things (and sometimes challenging) about Iceland is the ever changing weather conditions. 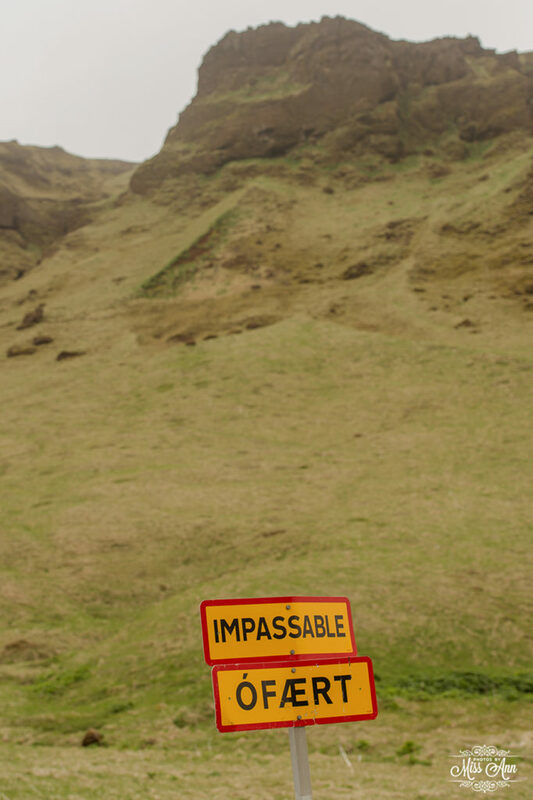 You must embrace this. 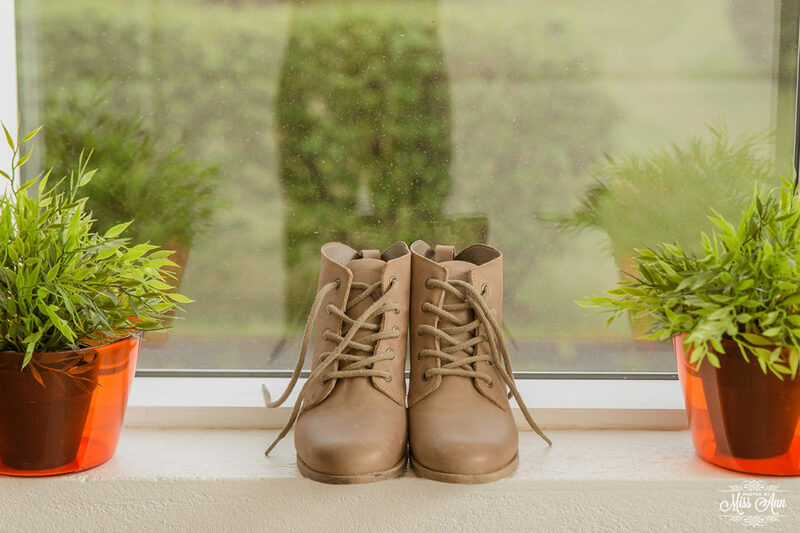 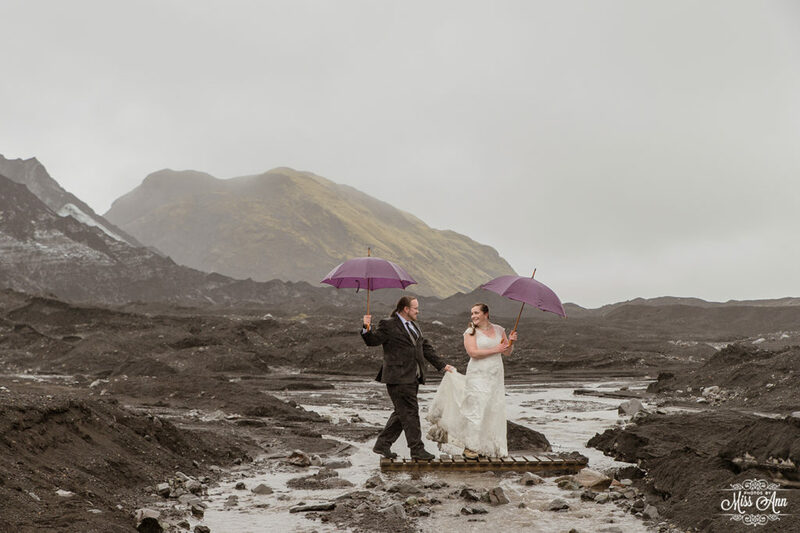 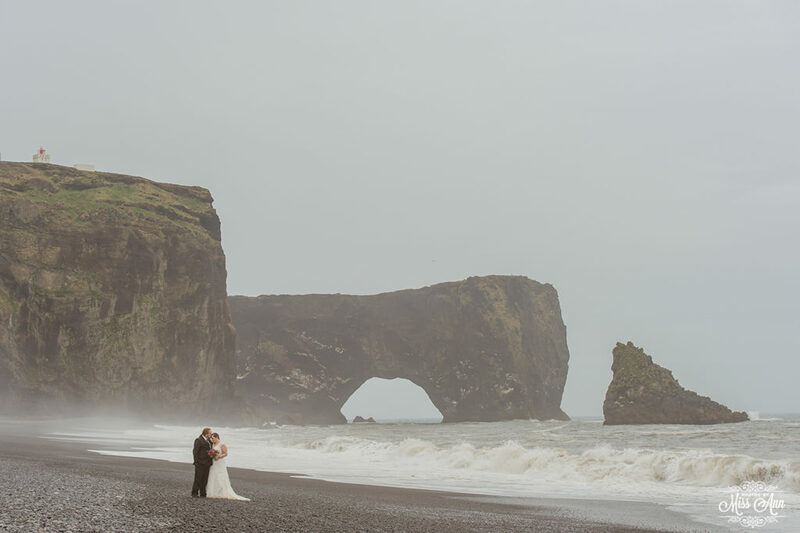 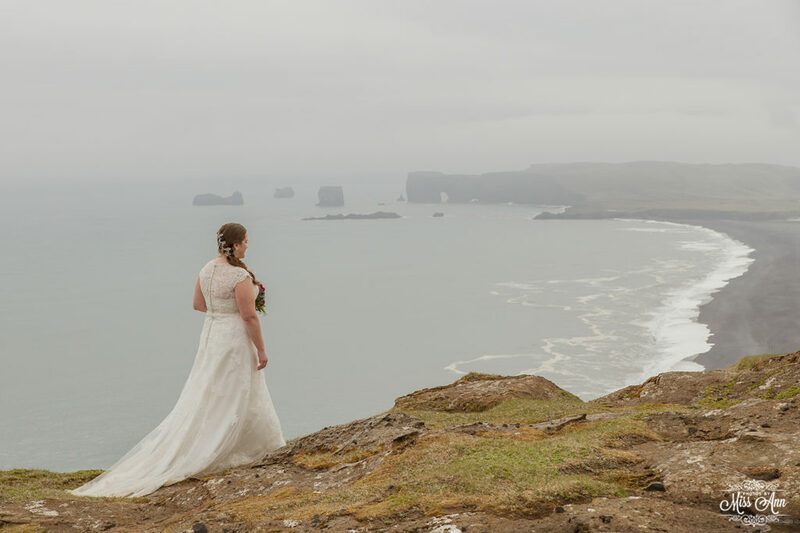 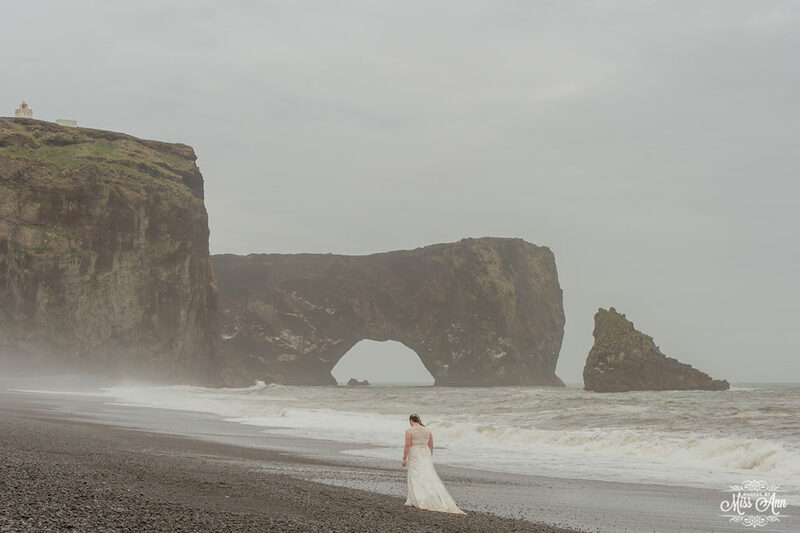 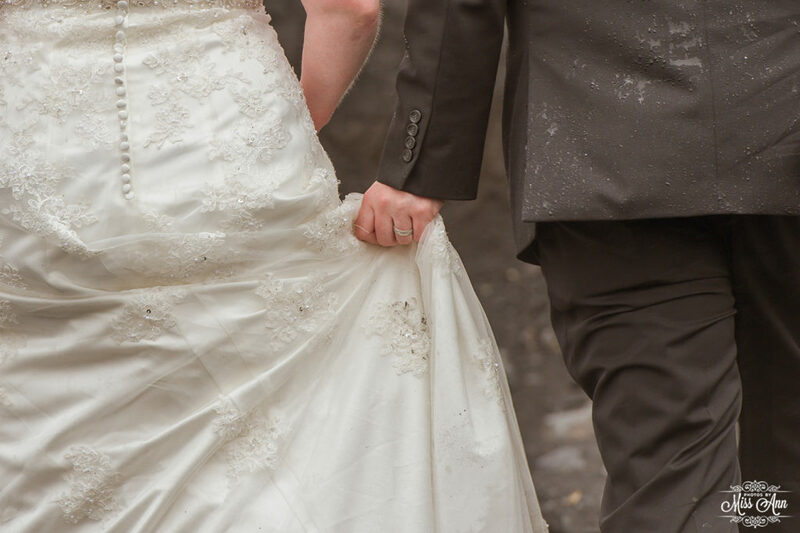 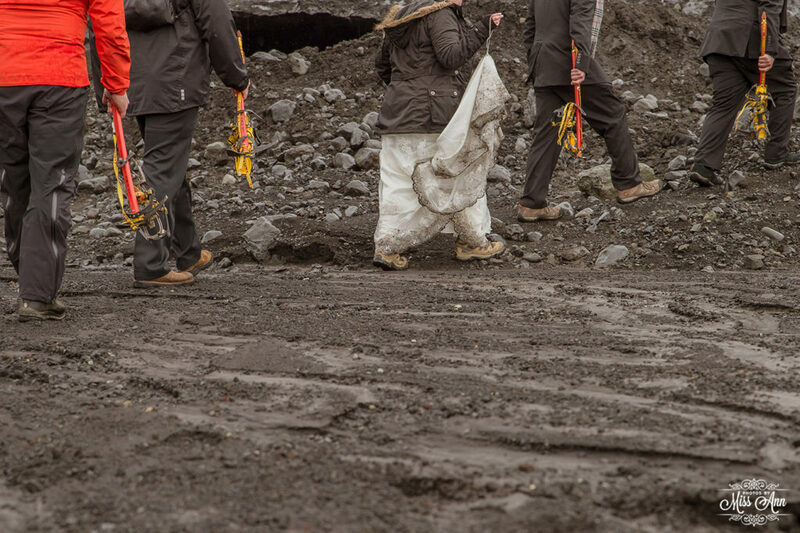 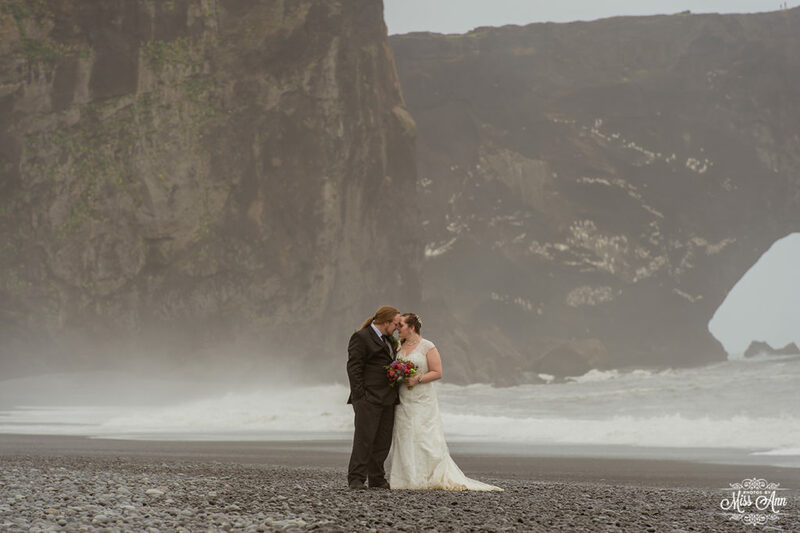 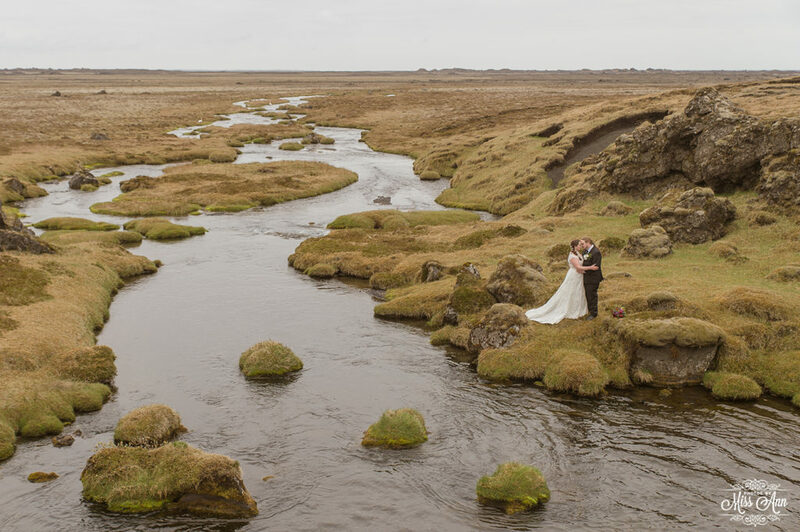 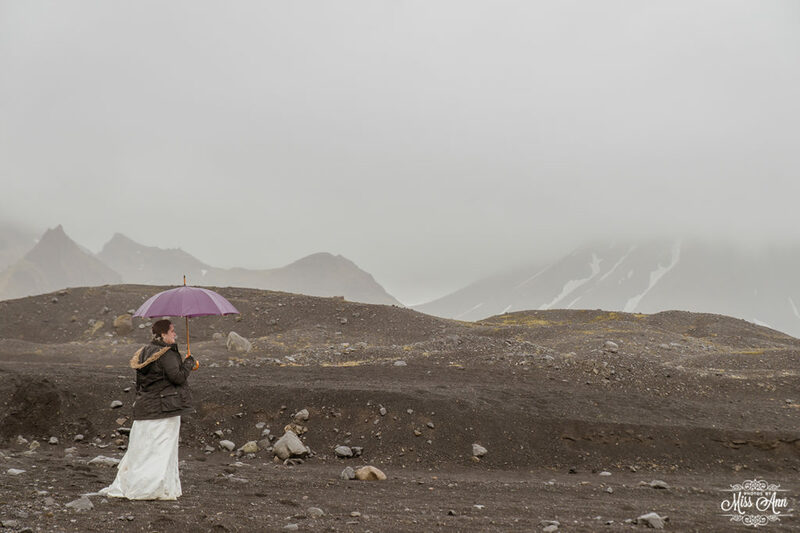 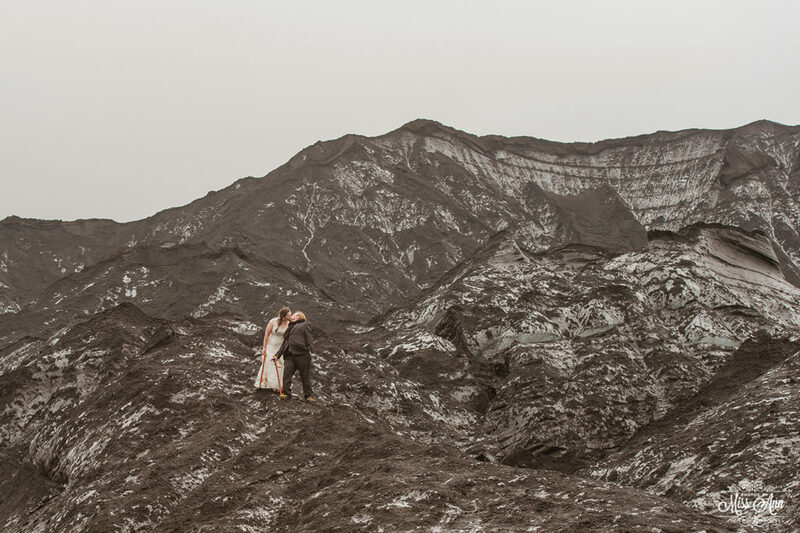 For Britt + James, playing in the rain during their Iceland elopement was part of the exciting wedding day journey! 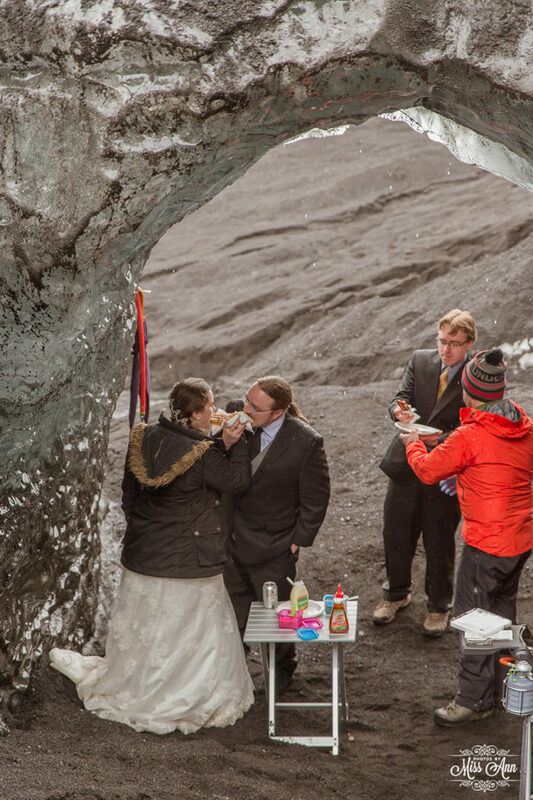 Pretty sure, these two will also go down as one of the most adventurous couples, EVER. 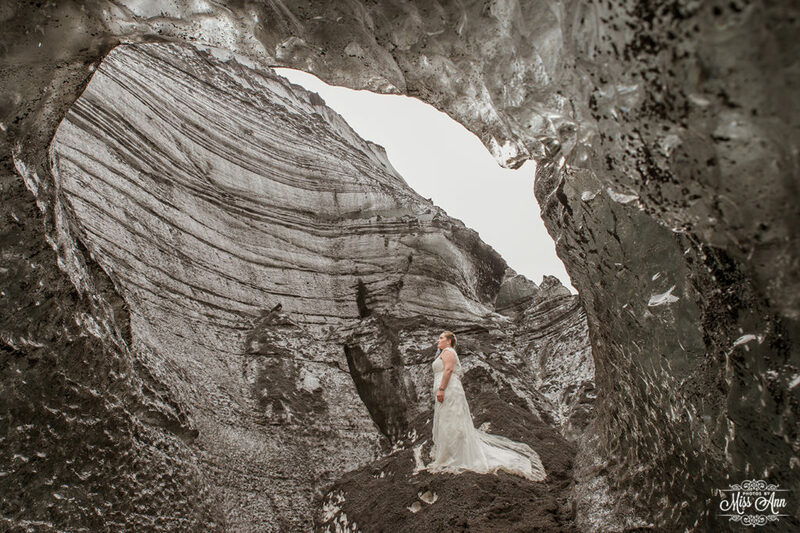 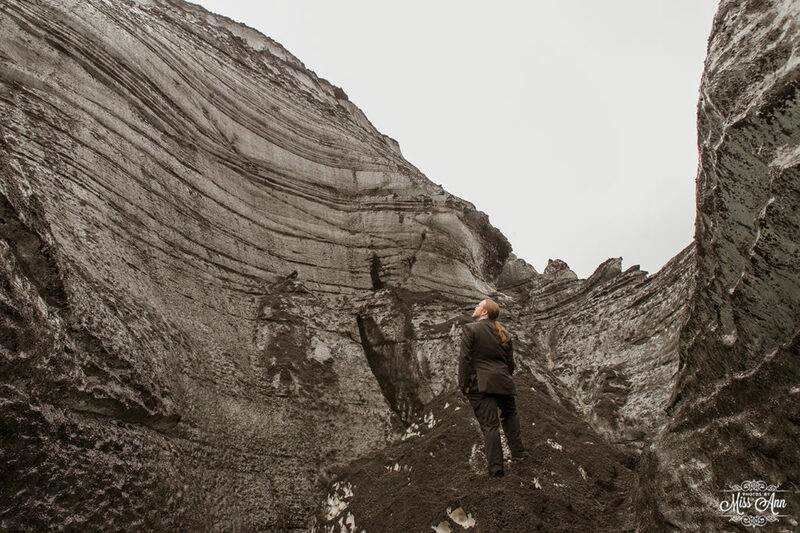 Have you ever seen a bride climb a glacier in a wedding dress? 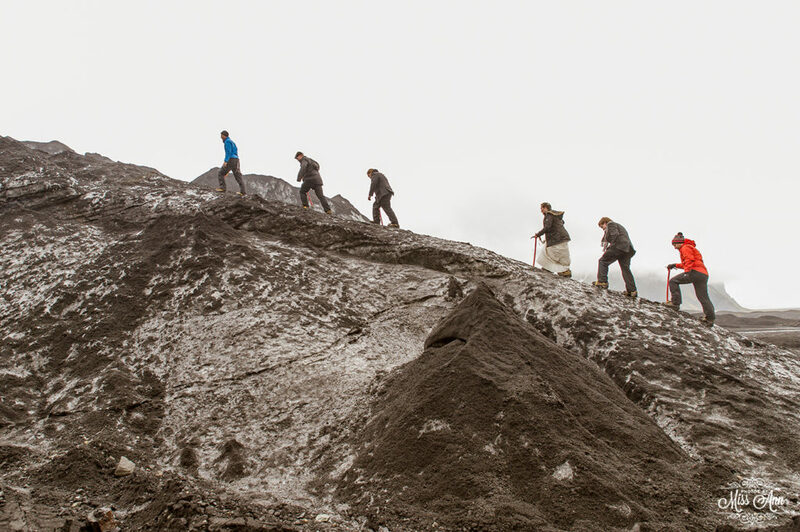 …I mean like the whole gamut -crampons and ice picks?! 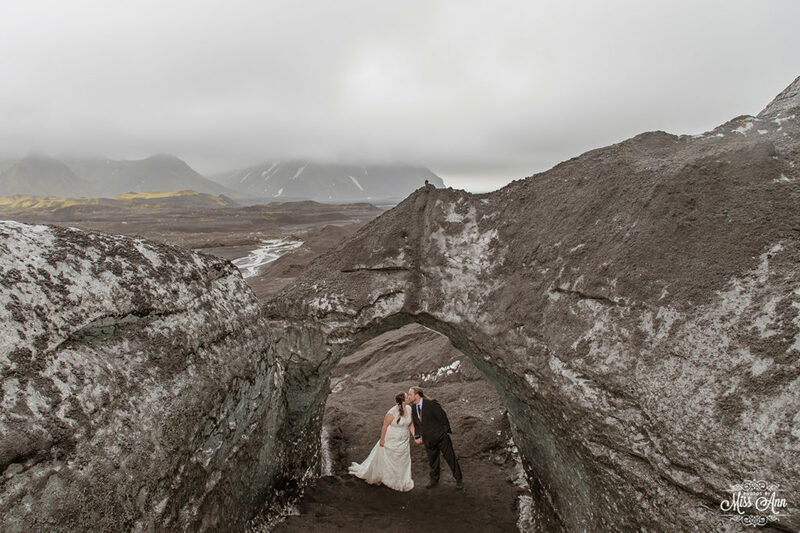 Brittany, had no fear and she conquered that glacier. 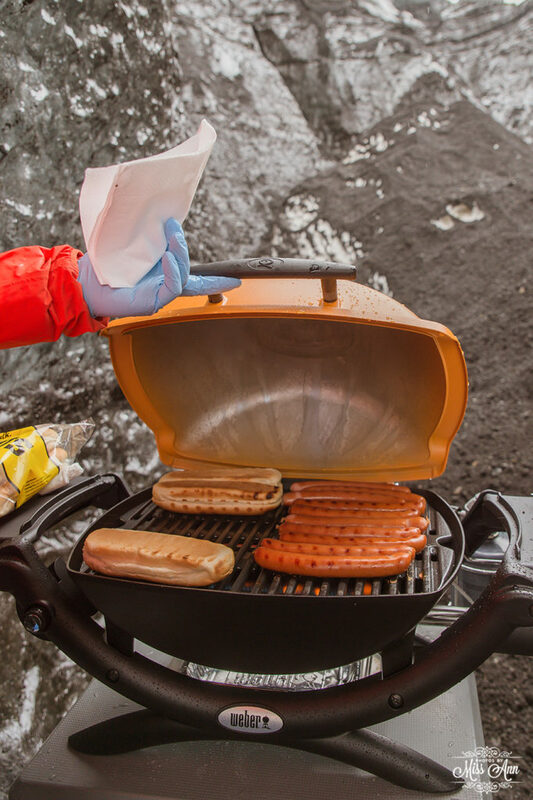 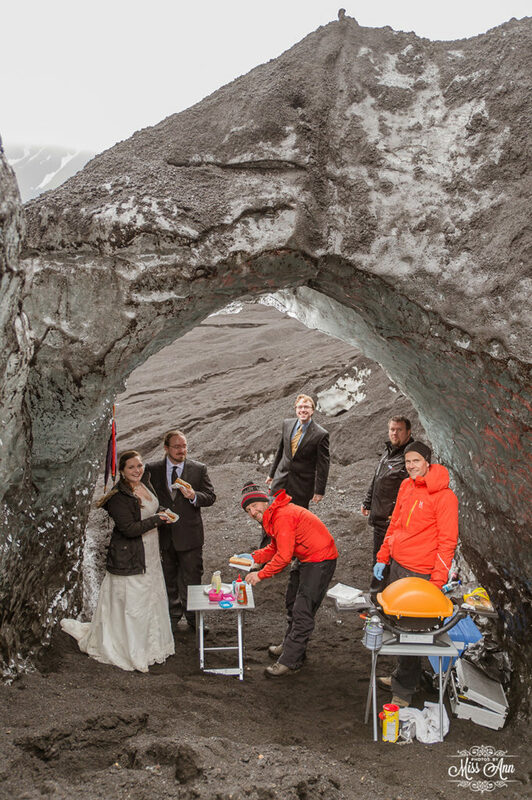 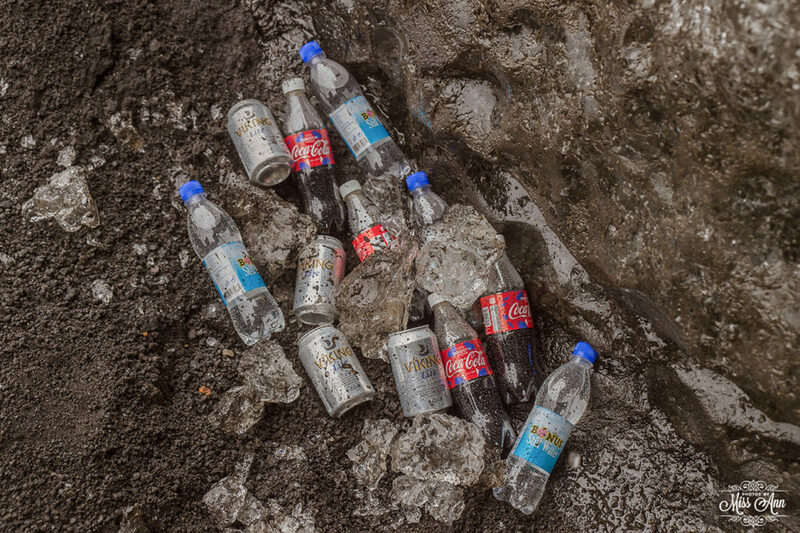 😉 After their glacier expedition, they had a BBQ in an ice cave…. 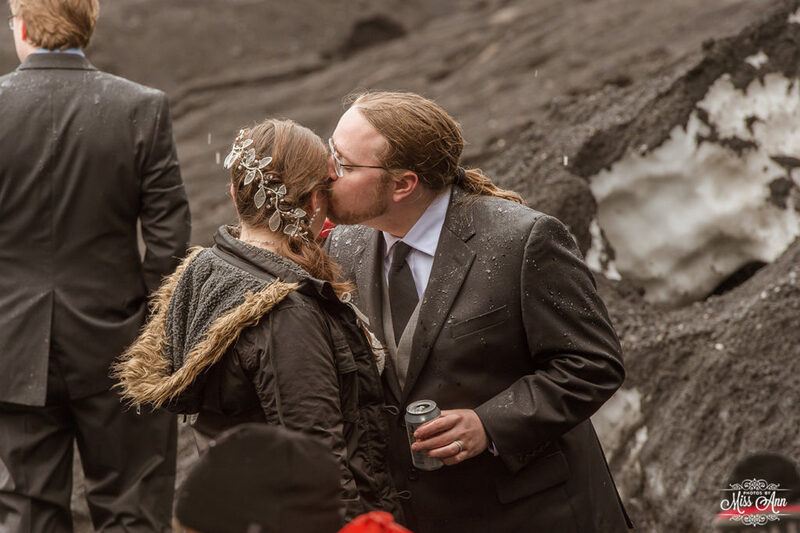 Who does that?! 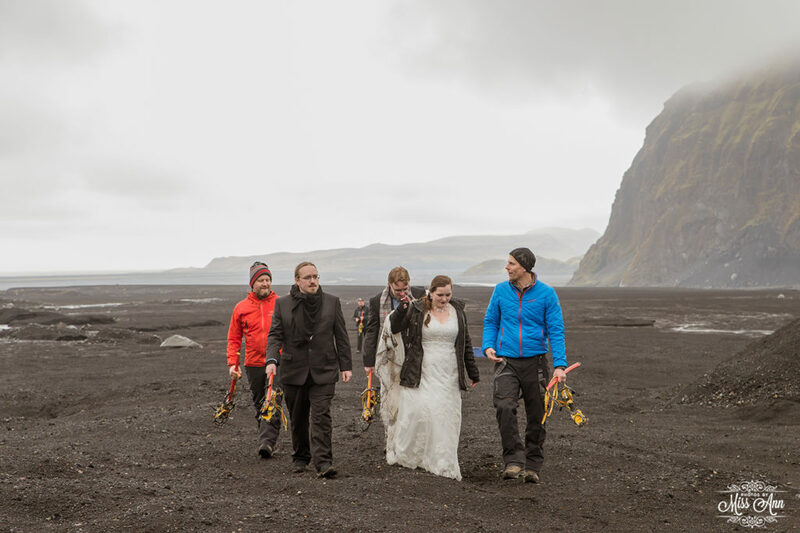 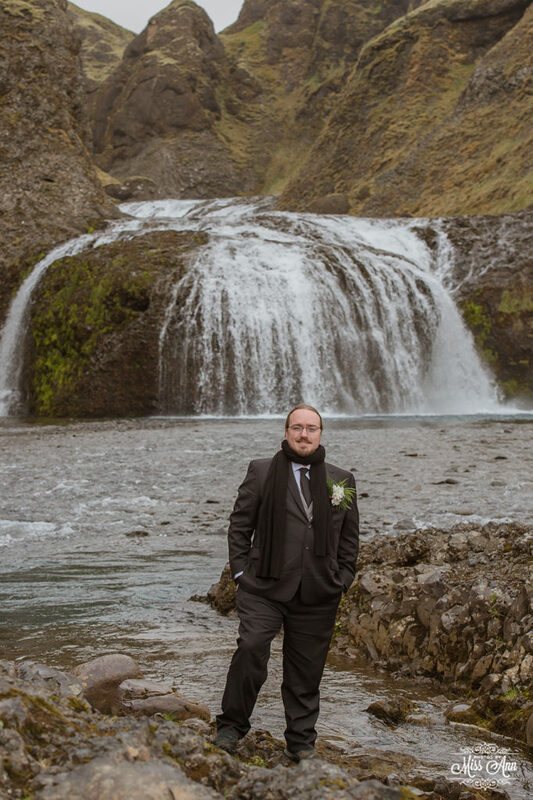 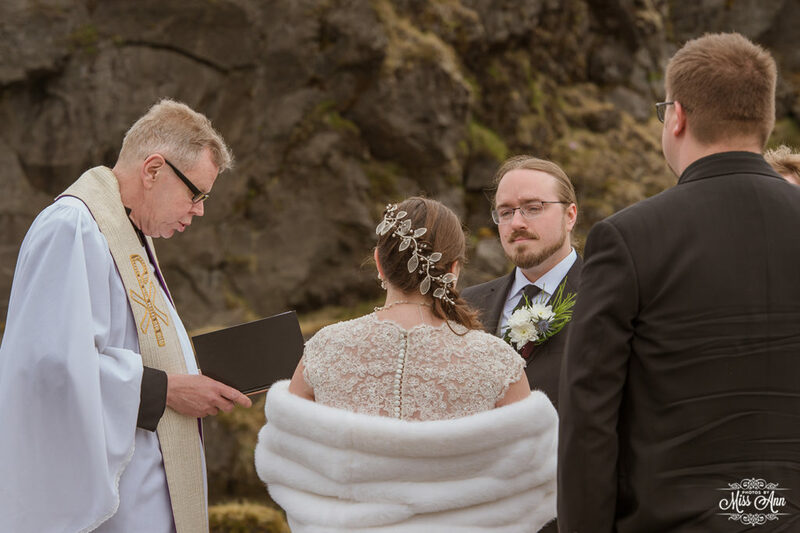 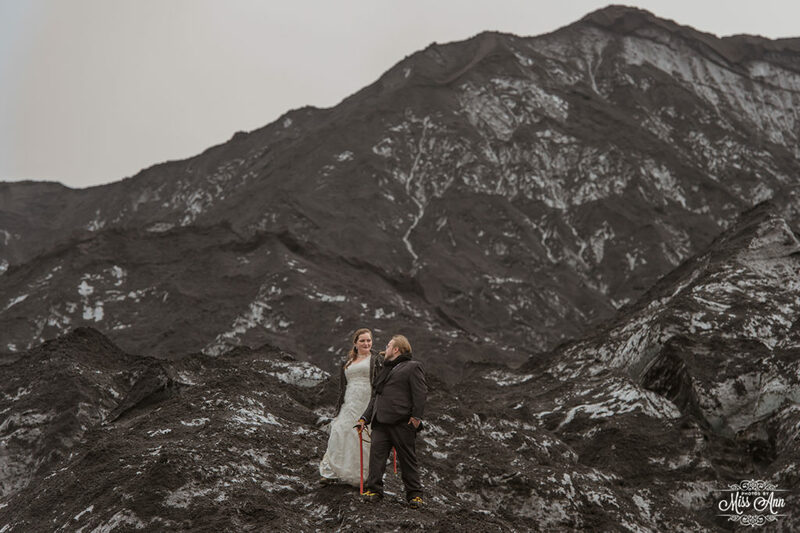 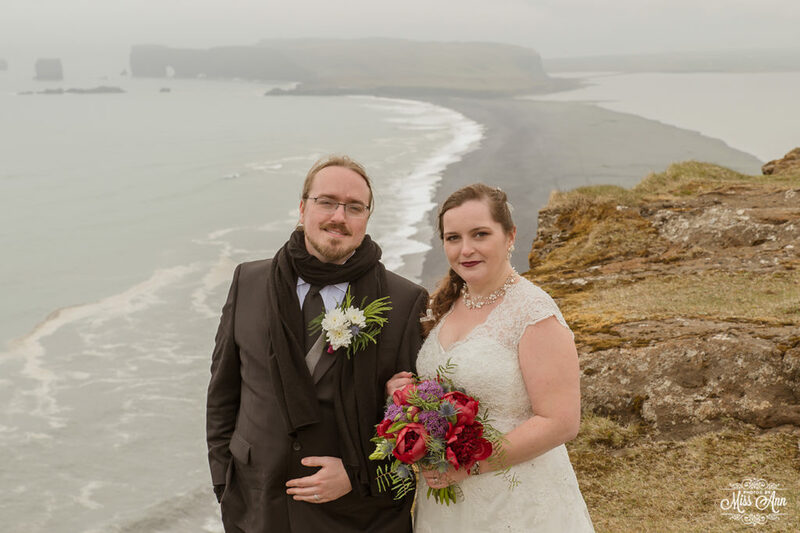 Our kickass Iceland wedding couples, that’s who! 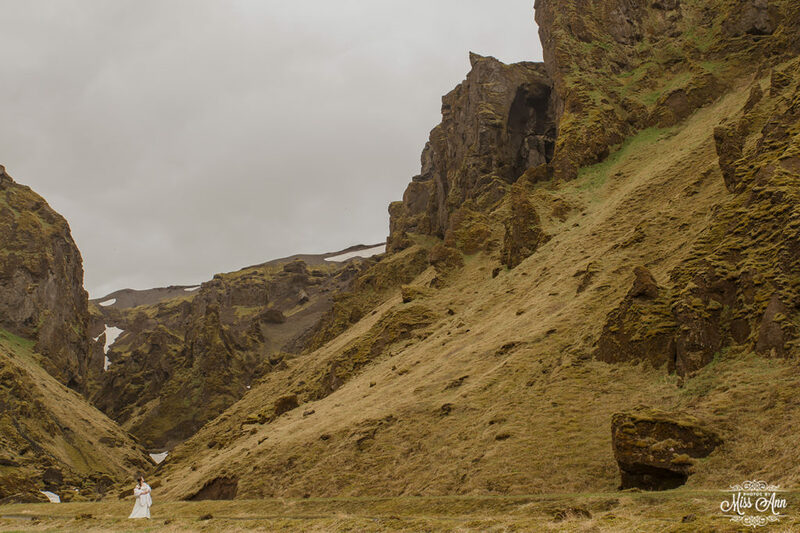 One of my favorites from Britt + James romantic Icelandic elopement was this quite moment they shared in a gorgeous canyon. 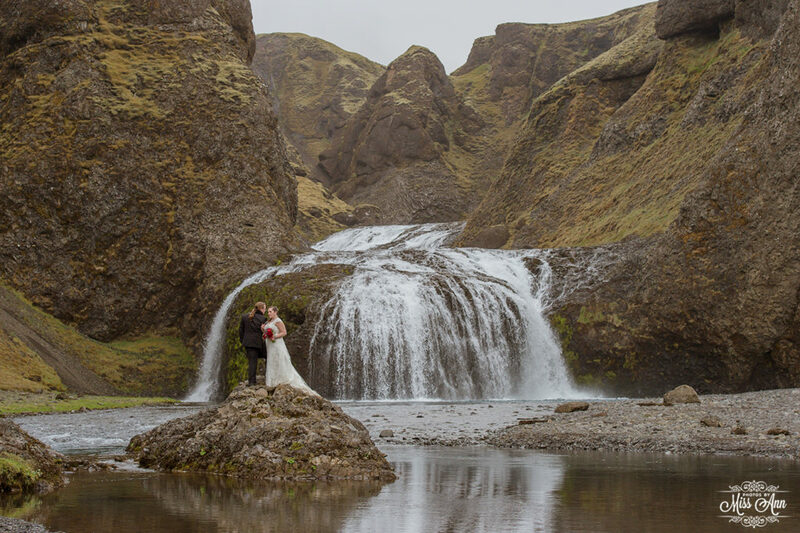 Okay, so maybe I lied, I also REALLY SWOONED when I witnessed the beautiful stolen kisses in front of this waterfall too! 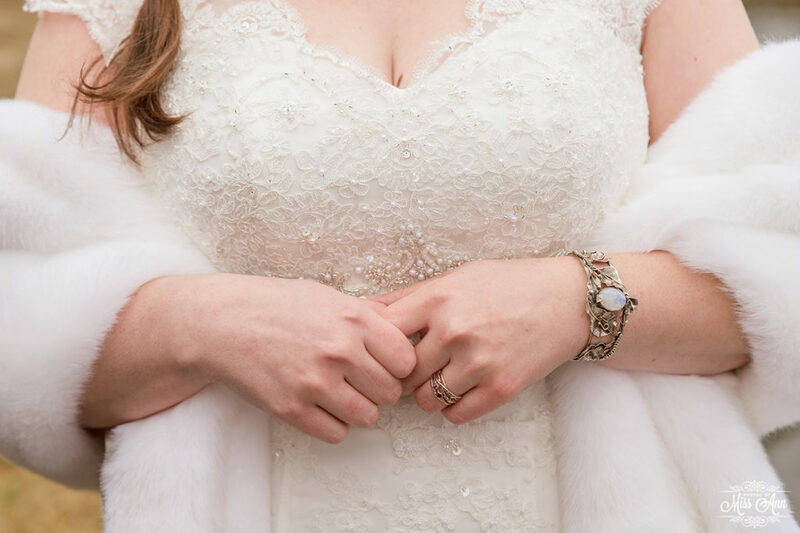 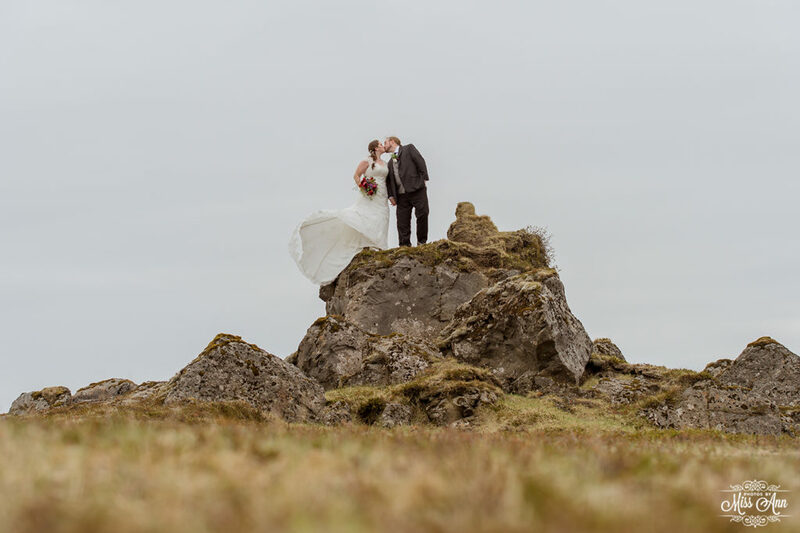 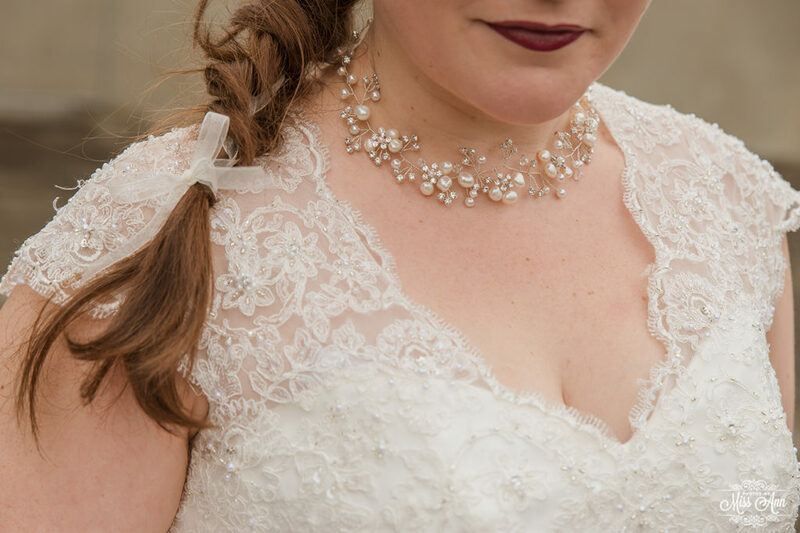 There were so many amazing images from their elopement in Iceland, it was frankly hard to choose some to share with you today! 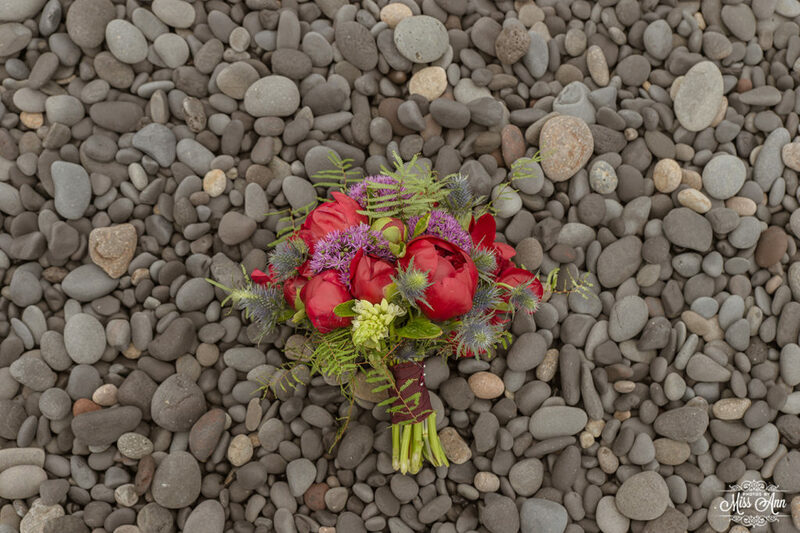 But, I tried- so enjoy!